L’IFMK de l’École d’Assas a accueilli en Erasmus entrant deux étudiantes finlandaises de l’université de Tampere. Voici le témoignage de Veera, qui sera diplômée en fin d’année. 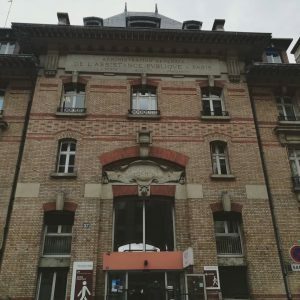 C’est en anglais et si quelqu’un ne comprend pas, qu’il sache que notre cours d’anglais médical reprend en 2018-2019 ! I’m Veera, a third year physiotherapy student from Finland. My school in Finland is Tampere University of Applied Sciences, in the South of Finland. I’m graduating on December 2018 as our studies in Finland last 3,5 years. Originally, I’m from a small town where there are approximately 2500 inhabitants so Paris is quite a big city for me. In Tampere, where I live and study at the moment, there are about 350 000 citizens. I came to do two internships in Paris and I’m very pleased for the internplaces that d’Assas provided for me and the experience that I got from coming to Paris. My exchange exceeded my expectations. Paris is beautiful: full of history and breathtaking architechtury. I was afraid of the stereotypical ”French don’t speak English” thing but I got mostly proved wrong which I was glad about because before coming to Paris, I had never studied French. Luckily, in my internships there were physiotherapist who could speak English and surprisingly many patients spoke English or could understand it at least in some level. The Erasmus Coordinator from Ecole d’Assas, Nicole Maurice, was the most kind and gave my Finnish classmate and I some private French lessons so we could learn some words and useful phrases that we could use in our work. Also, in my first internship, our physioteraphy tutor taught us some anatomy in French which was so nicely done from her. Even though, I did not learn French as much as I would have wanted, I’ve got a spark to learn more of the language. On my spare time I usually went to the gym or ate pastries and, oh boy, the French didn’t praise their pastries and bread for nothing. I can’t say which of the delicacies were my favorites because there are so many. But if I must choose the ones I have eaten the most, I would say croissant, baguette and this little cream puff like pastry with sugar crystals on top of it called « chouquette ». My first internship, where I went together with my Finnish classmate, was at the Rheumatology ward in Cochin Hospital. People go there to rehabilitate mostly because of rheumatism, chronic low back pain, scleroderma or after knee or hip replacement surgery. Patients stay in the hospital approximately 5 days and work 5 hours per day with multi-professional team. So they can have physiotherapy, occupational therapy, hydrotherapy, podiatry, physical education and see psychologist and dietitian and, of course, the doctor. I was also fortunate to go once or twice a week in the hospitals respiratory ward where patients come usually from intensive care unit to rehabilitate so they are able to go home or to a rehabilitation center. In there, I saw many interesting and special cases and learned more about rare diagnoses such as Guillain-Barre syndrome and Lupus erythematosus. The best part of the intership was the people working there. They were so warm and nice toward us, explained if we did not understand something, made sure that we saw as much as we could in the hospital enviroment and just simply took so good care of us. My second internship, where I went alone, was at a private clinic « L’eKipe Kine du Sport ». The clinic is very specialised in sport injury rehabilitation and I can say that I have never seen live such a well taught physiotherapy that is based on research and strong knowledge of the subject. If I asked the question ”But why?” from the physiotherapist about something, I always got an answer. They have a good team of seven physiotherapists and excellent spaces specially made for rehabilitation for sportive people. I also got to know lots of special equipment as an anti-gravity treadmill, cryotherapy- and isokinetic-machine. Even though, I didn’t get to do as much as I would have wanted, I learned a lot by just observing and asking questions. Still, I feel like my manual skills got better and I have more exercises in my ’’movement bank’’. 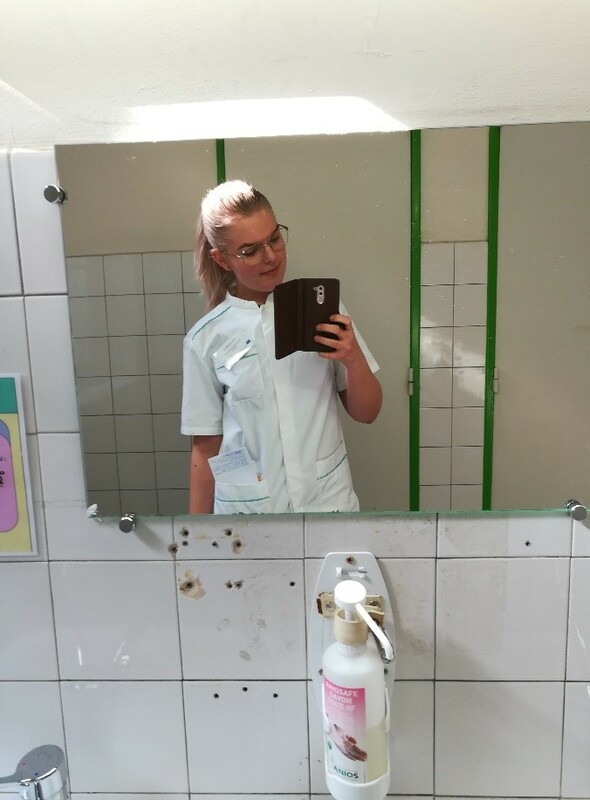 I had not thought about sport physiotherapy as an option for me for the future, but this internship made me consider about it. Seeing how much you can do with good manual skills made me think about what kind of courses I want to do after graduating in order to improve my skills. All in all, I was very satisfied in my exchange and I hope to see students from Ecole d’Assas coming for an exchange in my school. I’ve met some amazing people and made contacts for the future which I’m really happy about. The only thing I’m not happy about is that the pastries, chocolate and baguette were so good that I’m not able to eat the Finnish versions of them back home. I’m definitely going to miss those delicacies.